Bringing the outdoors in – it’s the easiest way to expand your home’s footprint. Our outdoor decking options help you do just that. The enduring beauty and hassle-free maintenance of wood-alternative composite decking continues to grow in popularity. 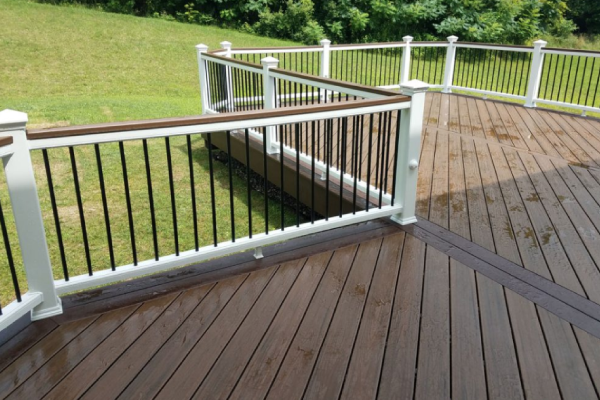 Composite decking is more resistant to the elements, splinter free, and low stress. Sometimes, nothing beats the real thing. If you prefer the look of natural wood, we use premium cedar to build our wood decks and rails.